Agents cannot satisfy today’s customers without a 360-degree view of the customer and business operations, and access to the most relevant information and self-service tools. 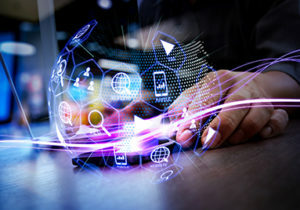 Insurers’ custom portals and sites connecting to their operational, policy administration, claims management and other systems aren’t pre-integrated with their core system or digital suite, making it nearly impossible for agents to enjoy or provide a seamless experience. A portal solution provided by the core system vendor is ideal, because it can connect to the operational system, reducing integration costs and the complexities of future upgrades. Sapiens AgentConnect for Property & Casualty (formerly called Sapiens PORTAL) is a modular, highly innovative portal solution specifically designed for the property and casualty insurance market. It empowers agents with full lifecycle enablement, including the ability to manage their pipeline, sell policies to their consumers and provide top-level customer service in real time. Agents can also see a holistic view of their business performance overall and benefit from full access to all their remunerations, payments, commission transactions and statements. AgentConnect offers straight-through processing for quotes and illustrations, with seamless transitions into active policy, as well as web-based underwriting to facilitate STP where appropriate. In addition to being fully pre-integrated with the Sapiens IDITSuite for Property & Casualty, Sapiens AgentConnect for Property & Casualty is part of the Sapiens DigitalSuite for Property & Casualty, which offers an end-to-end, holistic and seamless digital experience for agents, customers, brokers, customer groups and third-party service providers. DigitalSuite is pre-integrated with IDITSuite and is comprised of Digital Engagement and Digital Enablement and API Layer components. The suite is cloud-based. The solution is built for enterprise performance, supporting high volumes of traffic, to meet all the needs and demands of top tier insurers and their customers. This includes features such as queue management, load balancing and other functionalities that ease agents’ burdens. Insurers can leverage their investment in the Sapiens IDITSuite by offering a unique, real-time agent experience.